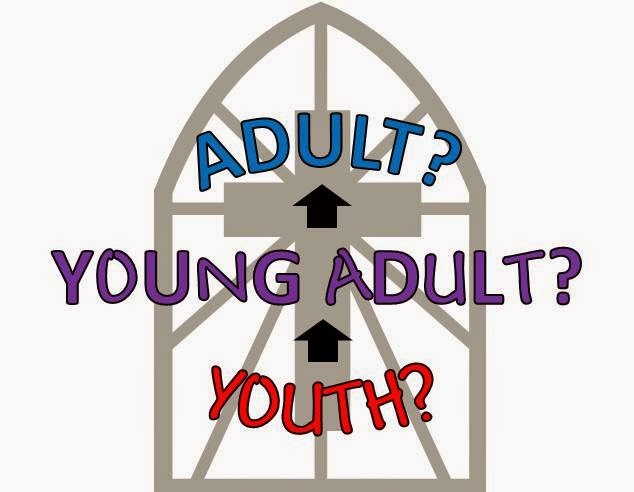 The Carpenter's Ministry Toolbox: HS YOUTH: Do they or don't they? Will they or won't they? HS YOUTH: Do they or don't they? Will they or won't they? It's been a while since I posted. I'm teaching 7/8th grades at Central Lutheran School in St. Paul and have been very busy trying to get my procedures down to something that works for all of us. But, in my quiet moments of contemplation while I walk I've been haunted by a question, "How do we keep the youth attending church into their 20's and 30's and the rest of their lives?" The answer so far has been to "fill them up" with activities and events throughout high school. I hear people, pastors, and youth workers say, "We draw them in with activities and then share the gospel." Once, after saying that, a pastor immediately added, "It's not a bait and switch." Hmm... for some reason that has never sat well with me. Churches put a lot of money and effort toward youth ministry as if this is the last chance these kids have, and based on polls, that may be true. Or it may not be true as we can never discount the power of the Holy Spirit in anyone's life. It is, after all, the Spirit of God who brings people to faith. Upon hearing that statistic, however, churches immediately jump into action and designate special people to be "in charge" of growing the faith of their youth. It's as if they're thinking, "If we grow it enough as teenagers it'll last a lifetime!" They give them budgets and youth rooms they can decorate however they want, whether it's black walls with flames or crazy murals. They include game tables, video games, big screen televisions, and sometimes, coffee shops. They send them on servant events and mission trips and fully believe that the more activities the kids attend, the stronger their ties to church will become, because they will develop relationships. They also do devotions and have Bible studies... some of which are truly thought provoking and impactful. None of these things in and of themselves are bad, but the question remains: Are these the things that compel the youth to continue to go to church after they graduate? We know that the reason they come to church is because they have relationships with other teenagers. This is most certainly true. I had a very close youth group and I'm still in contact with many of them, I love them dearly and know for a fact that they are part of why I am the person that I am. They are the reason I wanted to attend church during high school. They are not, however, the reason I attended church after high school. So, the question remains. Why do our youth stop going to church during and after college? I believe the answer to that lies somewhere between their life choices and the Holy Spirit. Many don't go while away at college because it's inconvenient, they have no transportation, and they don't even know where a church is located in relation to where they live on campus; but they do go when they return home during college, and afterward if they live with their parents or in the same town. What I know for sure is that going to every youth group activity throughout high school is not what affects their choices as a young adult. Church feels different after college. The youth group and the youth room are full of strangers and they don't belong there anymore. Their friends have grown and changed and so have they, so they don't feel as connected as they once did. They may not have kept up relationships and some may have moved away. They're making friends and developing relationships at work, so that's who they hang-out with now. They tried adult Bible study and found it less than stimulating and while in the youth group they could ask questions and interact with the material, adult Bible study seems a place where only the pastor talks, few people ask questions, the pastor asks and answers his own questions, and/or the outline given has all the answers on it. Everybody agrees with whatever the pastor says and they all sit and nod and share how they agree, with coffee. As a teenager there's a separation between the congregation and the youth. You're not a part of the congregation... you're the youth. How do they become a part of the "inner circle" that is considered "the congregation" after they graduate from high school or have been away at college? Perhaps nobody ever invited them to be a part of the a board or committee, or when they did they were treated as if they were still a teenager and nobody took their input seriously. On second thought, maybe it's not about how we treat the youth, but how we treat the adults.